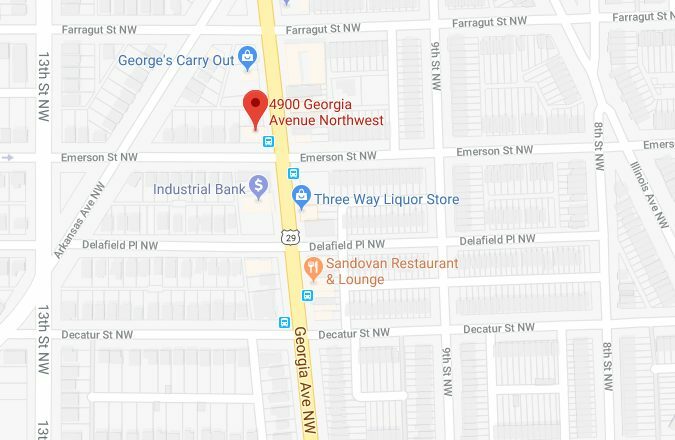 “At approximately 7:30 this morning an adult male victim was in the 4900 block of Georgia Ave. NW when he was approached from the rear by the suspect. The suspect said “Hey”. When the victim turned around to face the suspect, the suspect shot him twice striking him in both legs. The victim was transported to the hospital and treated for non-lifethreatening injuries. The lookout for the suspect is a black male in his 20’s, 5’10” tall, medium brown complected with a full beard last seen wearing black pants and a black jacket.